Somehow it’s March and our long-awaited family trip to Guatemala is upon us! In truth, this trip to Guatemala happened in a way that left me feeling surprised this trip was forming in the first place. Do you know those kind of trips? Where an idea is sparked and comes together so quickly and so seamlessly that you haven’t had a chance to really digest what’s happening? In December, Scott and I went back to California for Scott’s grandmother’s memorial. It was an emotionally difficult time, and spending time with my grandmother during that trip made me feel utterly grateful for the moments we have together. We cuddled up late at night and had conversations about life, love, memories and aspirations. One of those December nights, we talked about trying to plan a family trip so we could spend much-needed time together on an adventure that she could join us on. Our family trip to Ireland in September was beyond-words incredible, but she wasn’t able to join and I wanted to plan something that she could get excited about. And like that we had a lightbulb moment that made it all come together. I had long been daydreaming about a trip to Lake Atitlan, where a stunning villa on the lake beckoned. I’d had my eye on it for over a year and daydreamed about waking up on the lake, paddle boarding during the days, and hanging over the edge of the infinity pool at sunset. With four rooms and super plush amenities, it didn’t make sense for Scott and I to visit alone unless we planned on sleeping in a different room every night. But now, all of a sudden, it made sense. It would be the perfect destination for a family getaway – approachable in terms of price point, with a stunning setting and a relaxed vibe that would allow us unadulterated family time for bonding. Within a week, we had solidified the timing, booked the villa, and hammered out some details to make the entire trip a reality for Scott, my dad, my grandmother and myself. We added on a night on the front end to enjoy the beauty of Antigua, the former capital of Guatemala that oozes colonial charm. A few weeks ago, we surprised my mom with a ticket to join us for the week to amp up the family vibe for the getaway. And here we are, now two weeks out from our trip, and the time has absolutely flown by since that fateful night in December when the idea was born. Our travels to Ireland marked our first ever international family trip, and we didn’t quite know what we were getting into at the time. Fortunately, it was a massive success with need for a reprise, and this time we’re embarking on an adventure entirely different from that of Western Europe. Check out who’s involved this go around, with some insight on travel styles and interests. I’ll be sharing details from our time in Guatemala soon, and I anticipate all of us loving the Central American nation for very different reasons. Hopefully there’s someone on this trip that you can relate to – I’ll be sharing their highlights along the way! Just like in the intro I shared before profiling our group in Ireland, I can start by saying that a blurb is probably unnecessary if you’ve been following along for any length of time since you can get a pretty good taste of my approach to travel by poking around my blog. 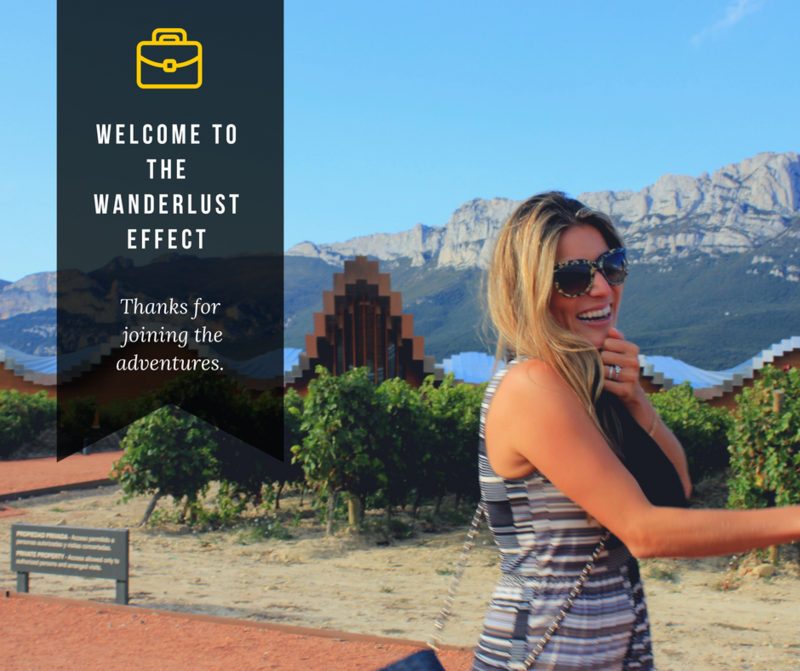 I will say that my travel style has evolved over time, and Scott has helped enlighten me on the value of the occasional splurge on once-in-a-lifetime experiences. Traveling is a passion for both of us, and we’re at a point in life where that’s the unabashed focus of our spending. Central America is a destination that holds a special place in my heart due to the familial connection (more on that in my grandma’s profile), and it’s a region with juxtapositions that absolutely fascinate me. I find Central America to a beautiful mix of ancient and modern in many ways: there’s the traditional populations and practices that are set against the modernity of emerging cities and tourism. There’s the Spanish influence which is seen not just through the language, but through cities with incredible colonial architecture. There are vibrant markets, and local food that takes me back to pupusa-eating childhood days. For me, there’s something raw, relatively untouched, and wild about many areas in Central America. As I’ve said before, I’m the typical eldest child: I’m the planner in the family, and while I may waffle on the side of over planning, I’ve learned to value flexibility and love the opportunity for unplanned adventures. I can confidently say that I’ve not overplanned this trip in the slightest and am leaving a lot of our getaway up to how we feel each day. I prefer coffee to tea, red wine to white wine, and have recently decided that a caipirinha is my drink of choice in any destination that can produce one properly. I love experiencing live music, always prefer quaint boutiques and shops to mega complexes when traveling, and will never pass up a market, something I’m particularly excited for in Guatemala. I don’t eat meat – I’m a pescetarian – but I absolutely love the warmth of Central American cuisine. This is a first time for me to Guatemala, but I’ve spent time in El Salvador, Honduras, Panama and Costa Rica previously. What I’m most looking forward to in Guatemala: exploring the former capital of Antigua; visiting local markets at Lake Atitlan, enjoying nights in and local cuisine – with a private chef! – during the week; learning about the personalities of the seven towns that make up the perimeter Lake Atitlan. You can read the profile I shared on Scott from our trip to Ireland last fall. He’s the ultimate travel partner, with a style and focus that’s similar to mine. He’s an unequivocal part of our family, and it’s one of the coolest experiences of my life to have him as part of our getaways and experiences. If given his choice of destinations for cultural immersion, he’d opt for something in Asia, but Central and South America have become a favorite for a quick escape where he can practice his Spanish (with a Mexican accent). He always prefers off-the-beaten path spots to tourist go-tos and loves to experience real local culture in destinations that are not always on other people’s radar. He’s a craft cocktail enthusiast and will be in charge of crafting perfect caipirinhas night after night. This will be his first visit to Guatemala, but he’s previously spent time in Costa Rica, Honduras, Panama, and Belize. What he’s most looking forward to in Guatemala: Pure R&R at the villa, exploring Antigua’s colonial facades, sundowners on the lake, sipping mezcal at Cafe No Se. My dad is probably the biggest history buff in the group and is always fascinated with the world from an anthropological standpoint. I grew up with a love of medieval history and of Greek and Roman mythology because of him, but I was just as likely to hear a story about pirates in the Caribbean and European explorers in the Americas. I was never taken with history in quite the same way he is, but it’s something that I continue to admire about him, and something that comes out hugely during our travels. In Guatemala, he’ll likely be most enamored walking around the streets of Antigua, with the old world facades and history emanating from every church and monument. While he’s also the oldest child in his family, he’s less of a planner, is less inclined to try to seek out hidden gems in advance, and would naturally prefer to see where the day takes him. He’s not as likely to venture off the beaten path as Scott or myself but he would prefer a fun atmosphere with local flair to a posh or sterile dining experience. He’d take beer over wine, but would prefer to sip mezcal with Scott in a cool bar above all. This will be his first time in Guatemala, but he’s been to neighboring El Salvador before on a few occasions. What he’s most looking forward to in Guatemala: A day in Antigua, unwinding and bonding at the Lake Atitlan. I can’t beat what I said about my mom before, because it summarizes her perfectly. Where do I start? Firstly, my parents are divorced (this comes as a shock to some people since they’ve remained best friends), but still love spending time together and get along remarkably well. My mom was born and raised in Malta and has traveled relatively little outside of the United States. She has an incredibly child-like spirit and is entertained and excited with nearly everything. As she proved in Ireland, she really does love taking photos – some with heads, some without, though I’d bet money on the fact that she hasn’t looked at (or uploaded) any of the photos she captured during that trip. My mom’s actually been to Central America before. In the 80s, after my parents were married, she took a trip to El Salvador with my grandmother. Just the two of them in Central America scoping out coffee plantations and eating tortillas. I never really wrapped my head around this until recently. It’s kind of like my mother-in-law and I doing a girls trip – just the two of us – to a unique locale, except next level considering how little my mom had ever traveled at that point. When I brought the idea of Guatemala to my mother, she was mixed. She’s far more enchanted with the idea of spending time in Italy or France than with exploring Lake Atitlan in Guatemala (she’d never heard of it). When I shared photos with her of the Highlands and Antigua, she was stunned by the natural beauty. I think Central America as a region is still seen as a dangerous proposition for my parents’ generation. They knew the civil wars, the violence, and the kidnappings, and it’s been a journey trying to escape that mentality and see these countries as legitimate burgeoning tourist destinations with some incredible sights on offer. When her interest became more and more apparent, we surprised her by all pitching in to buy her ticket to join us for the week (today is her birthday). She’s the newest addition to our pack, and we couldn’t be more excited to have her in tow for the ride. My mom would far prefer a casual local restaurant to a fine dining experience, and loves local markets where she can scope out fruits and vegetables or local textiles. Guatemala will be her second Central American destination after El Salvador. What she’s most looking forward to in Guatemala: Sipping campari by the lake at sunset, shopping at local markets, scoping out the antiquated streets of Antigua. There are no words for my relationship with my grandmother. I’m very, very fortunate to have such an incredible bond with her, and to have had nearly thirty years of adventures and memories together. I spent every summer (literally every day of my summer break) at her house, helping her pick fruit from her garden, watering plants, watching Wheel of Fortunate at night, and learning Spanish in her living room. As far as I was concerned, there was no place better in the world. She was born and raised in El Salvador so Central America is a destination that feels like home for her. Spanish is her native tongue, though she’ll tell you that she now confuses Spanish and English at times. Planning this trip has been incredible because her enthusiasm and excitement for this escape is palpable. She is fairly mobile, especially considering she’s 90, but she’ll be bringing a wheelchair to use for longer distances. I’ll be sharing more on that experience on my site for elderly and disabled travelers. She’s excited to explore the lake and the city, to shop, to spend time together, and to eat. Unless she’s making pupusas, tamales or plantains, she rarely gets to indulge, so to be in a place serving up cuisine typical of her youth is an exciting bonus for her, and it’s an exciting bonus for us to be a part of her time there. She explained to me that she knew of Guatemala growing up, and it was most notable for having a high concentration of ‘Indians’; of indigenous people. I’m excited to spend time at Lake Atitlan with her, where Mayan culture is still very much alive and where we can explore a bit of the cultural heritage together. What she’s most looking forward to in Guatemala: Eating local cuisine, seeing churches and monasteries. Our plan originally involved solely Lake Atitlan, but considering we were passing through Antigua, we couldn’t not include it in our itinerary for at least a night. As fate would have it, we’ll be spending Easter Sunday in the Central American city which we’re hoping will provide an interesting religious and cultural layer to our time there. We’re building in enough flexibility to spend a final night in Antigua as well if we feel compelled to spend an extra day there. Lake Atitlan is composed of seven primary towns, and while we’re calling one town our home base, we’ll be trying to get a feel for the lake as a true destination; not just as a day trip or quick escape from Antigua. Stay tuned for photos, highlights and takeaways from our time exploring the city. I can’t even wait to see what this trip has in store! Have you been to Antigua or Lake Atitlan? What highlights were absolute musts for you during your trip? Follow us live on Twitter and Instagram as we embark on this fun adventure together!